Klip Gallery: Zoho – How can we help you today? Zoho CRM gives you a 360-degree view of your complete sales cycle and pipeline. Identify trends and increase efficiency by visualizing your Zoho CRM metrics on a dashboard. Discover which marketing channels attract the majority of your leads. Track your potential business deals at each stage of the sales cycle. Discover the value of your last 200 potential deals. See how many accounts you have and compare different types of accounts. 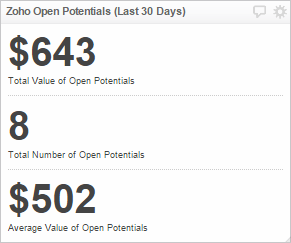 Outperform this month by monitoring the overall metrics of your Zoho CRM potentials. Select a Zoho Klip from the Gallery. You are asked for an Authentication Token. To find your token, Log in to your Zoho CRM account. 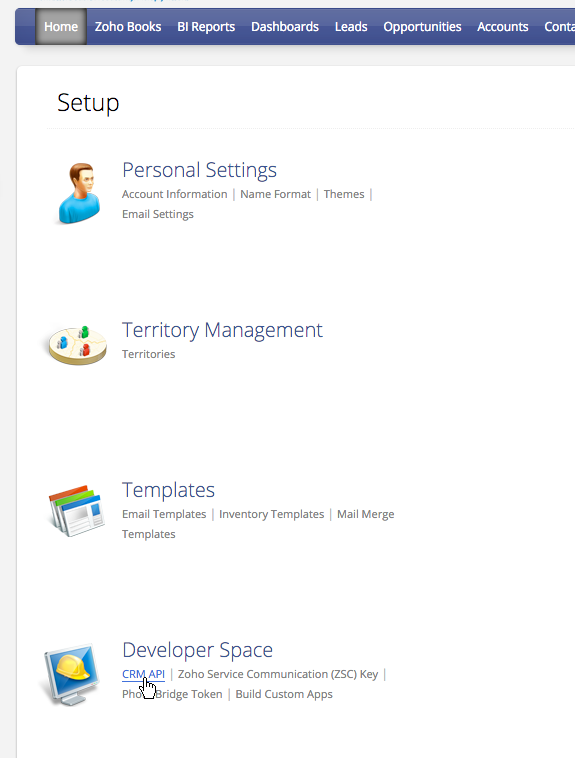 On your Zoho CRM home page, under Developer Space, select CRM API. 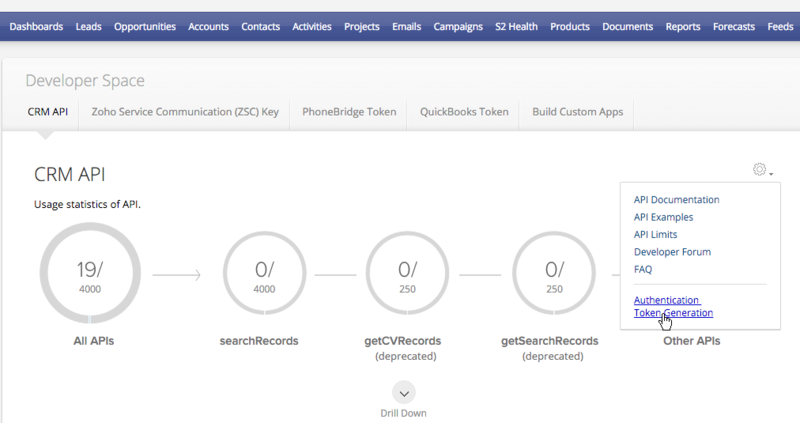 On the CRM API page, click the Gear Icon. Generate an Authentication Token by following the instructions provided. Copy the token into Klipfolio. In Klipfolio, click Add Klip.